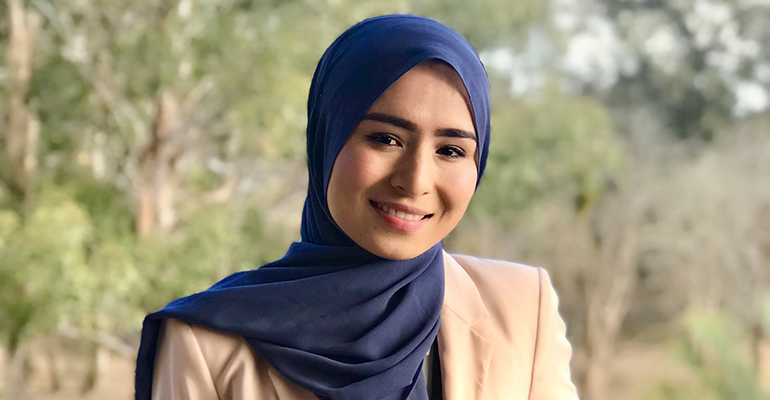 Shukufa Tahiri is a former refugee, policy officer at the Refugee Council of Australia and founder of several grassroot organisations that work to empower migrant women. She is this week’s Changemaker. No one wants to leave their country. Even when the situation is dire you cling to the life you know, to family and friends. To home. But there comes a point when the risks of staying outweigh the terror of leaving. And you choose a second chance at life. Tahiri was 12 years old when she arrived in Sydney, Australia, after a six year wait with her family in “Hazara Town”, on the outskirts of Pakistan after fleeing from the Taliban controlled state of Afghanistan. She now dedicates her time to advocating for the legal and humanitarian rights of refugees, as well as founding several grassroots programs that empower people with everyday life skills and legal assistance most of us take for granted. At only 24 years of age, she was named one of Australia’s most influential women by the Australian Financial Review, who recognised her work in the advocacy arena. 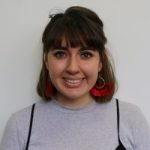 In this week’s Changemaker, Tahiri talks about why grassroots activism is vital, and changing the rhetoric around asylum seeker and refugee issues. How has your past influenced you to do the work you do now? There are many things in my past that have influenced me. I think the circumstances in which we fled, the sense of injustice and the degree of persecution, and the the deprivation and deterioration of rights and dignity, embedded into me that sense of justice and fairness at a young age. I wanted my existence to be purposeful and meaningful, not just for myself and my family but for the broader community. I didn’t want to pursue something that was just for my benefit, comfort or convenience, but I wanted to do something for the broader world. I was a truly global citizen because Australia was not my only home, I had experiences elsewhere in the world, so I felt my work should reflect that. Having been displaced yourself, how does it make you feel to see the current situation? Being displaced and having to leave your home is the worst thing that could happen, but what are your options? Just imagining what could happen if you stay, is always going to be far worse if you try and escape. I think that’s human nature, you would always pick to run because it’s a second chance at life. No one decides this conveniently. That’s why I took an interest in law, because in 2012 when the boats had started to come, asylum seekers who were seeking legal protections against violence were made to be seen as criminals when they were not. In my eyes, they were heroes. Obviously I don’t want the situation to get so grim that people are forced to jump on a boat, but if anything, they deserved compassion, not policies that further harmed them mentally and physically. I started to see a changing rhetoric, and think that became the impetus for me to feel responsible to speak out against that kind of perception and rhetoric. You’ve spoken out against the rhetoric and language around refugee and asylum seeker issues. What sort of difference would it make to have that changed? I think language is very important in any policy discussion, and in any conversation really. When you give people a realistic projection, when you give them a human face that they have, and a holistic picture of an individual who’s seeking protection, rather than a dangerous group, people will start to sympathise with them as a person. I think that’s where it becomes important for those with lived experience of being a refugee or seeking asylum to speak directly to people, and having that platform is really important to change or revert their negative stereotype. Do you think things will get better? At times it may seem like a losing battle but if you give things a historical perspective, you see that when the quality of leaders change, and the willingness in them change, so do policies, and it becomes easier for work to be meaningful and productive. I think that it’s hard to change qualities when there is a very toxic environment and public perception towards the groups that are seen not as human, but as alien who don’t deserve any compassion or positive policy changes. I only hope that there is a change in leadership that accelerates and advocates others in this society to change policy. It’s a hard one but I think that civil society is strong, it is very much in harmony and a united front. Why do you think grassroots activism is a good way of enacting change? I think inclusion of grassroots level in policy and advocacy work is extremely important. It’s not just for people who have lived experience in grassroots level issues, but I think essentially for any policy decision making it’s important for them to interact with grassroots level actors, or community members where policies essentially will have a direct effect on them. You started a driving mentorship program for migrant women, why did you decide this was a good way to empower people? Some uni friends and I started the free driving mentorship program, which was mainly taken up by elderly women from Pakistan or Afghanistan who aspired to get their licenses but were faced with massive barriers and re-settlement issues. I think we all had a reflection of that difficulty in our own mothers experiences of trying to get their Ls, and get past their citizenship tests. And so there was a deep sense of sympathy with the ladies who didn’t have children who could help them along the way as we did with our own mothers. 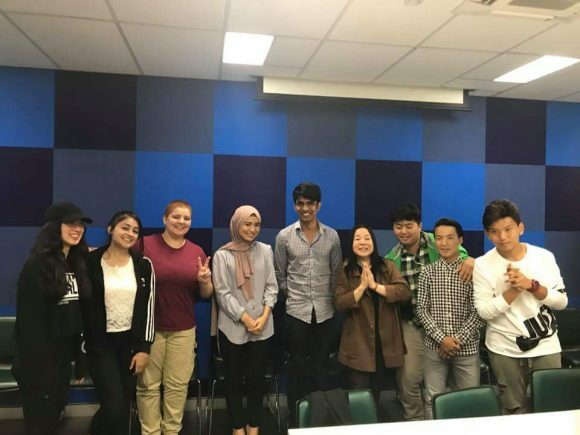 Our main target was to bridge that inter-generational gap, and make their existence in Australia much more meaningful and make their resettlement a little easier, and give them a sense of connectedness to a younger generation that they felt really disconnected from. You’re half way through a law degree, how are you putting it to use once you finish? I wasn’t studying law in the sense that I wanted to be a legal practitioner, I wanted law to be able to make systematic change in a community, on a national and international level. I just wanted to an ability to do more particularly to bring about positive policy changes. But I see education also as an opportunity to self develop, and I think it’s definitely developed me into the person that I am today. When I look at my direct impact on people, and when I see that the work I’m doing is actually making a difference, it makes it all worth it. We get feedback and you see how happy and grateful they are, and it makes you realise that what you are doing matters, and that giving these people a voice matters. Even though giving a voice to people may sometimes be ineffective, it’s important, and it gives the community the extra boost of morale they need. I’ve been doing this for so many years and people have developed this trust in me that I’m there for them at any level. I think that is sufficient to make me feel motivated and energised to continue to have that purpose.